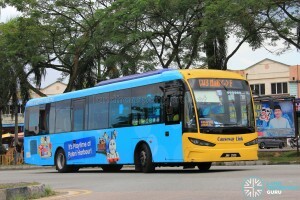 Causeway Link CW3 is a cross-border service plying between Jurong East Bus Interchange and Perling Mall in Johor, Malaysia, via Tuas Second Link. The route serves the Bukit Indah area within Johor. Selected CW3 departures operate between Gelang Patah and CIQ Second Link. Additionally, a branch route between CIQ Second Link and Larkin Terminal is operated. From 19 October 2017, passengers boarding CW3 from Bukit Indah in any direction must wait for the bus at the AEON Tebrau City bus stop, and not outside Public Bank across the road. Service CW3 is a cross-border route connecting the Taman Perling, Bukit Indah and Gelang Patah areas (within Johor) with Jurong East Bus Interchange in Singapore, via the Tuas Second Link crossing. 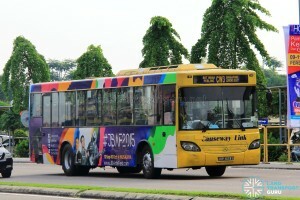 The route is one of five regular cross-border bus services operating via the Tuas Second Link, along with Service CW4, CW4S, CW6 and CW7. Within Johor, CW3 operates as split routes with separate trips from Jurong East terminating at Gelang Patah and Perling Mall (via Bukit Indah) separately. An additional Larkin branch route operates between CIQ Second Link and Larkin Terminal. 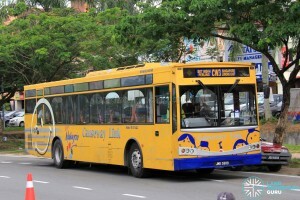 Second Link-plying CW services, inclusive of CW3, operate as a local bus while operating within Johor, hence serving at all en route bus stops. They do not stop at any bus stops in Singapore except the designated boarding point at Jurong East. Due to varying traffic conditions at the Tuas Second Link, travel times and waiting times may increase significantly when traffic congestion occurs. With a valid ticket at Tuas Second Link, passengers travelling towards Jurong East can similarly board CW4 and CW4S, or board CW6 for Boon Lay at Tuas Second Link. Alternatively, passengers heading towards other destinations in JB can transfer to other bus services at CIQ Second Link, such as the CW3 Larkin branch to Larkin Terminal. 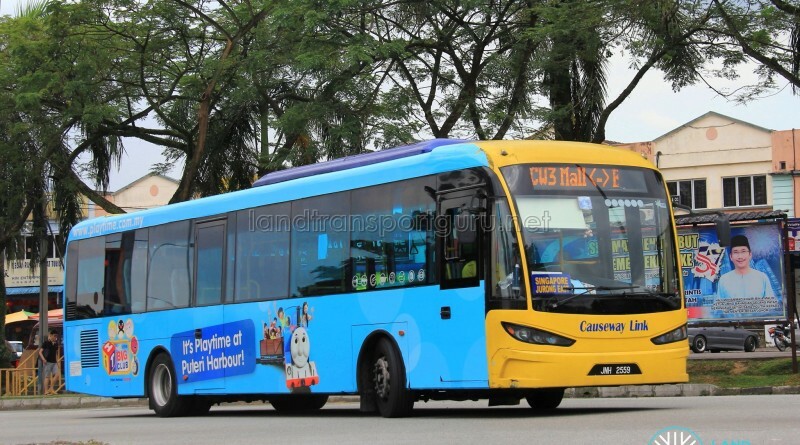 Passengers arriving from Singapore may travel for free on Causeway Link’s Service 666 from Gelang Patah to Larkin. The ticket or ManjaLink card must be produced on request. The transfer point is the pair of bus stops along Jalan Gelang Patah, between Persiaran Nusa Perintis and Jalan Nusa Perintis. Additionally, passengers using ManjaLink may tap their card upon boarding any Gelang Patah-bound 666. 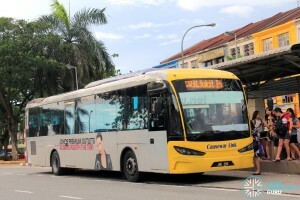 A maximum fare of RM7.00 will be charged, whereby the passenger will then be allowed to transfer to any Singapore-bound CW buses for free at the Gelang Patah transfer point, by tapping their ManjaLink card on the reader when changing buses. Supplementary trips from Perling Mall and Gelang Patah that terminate at CIQ Second Link and do not continue to Singapore. These trips sometimes operate with the route number CW3; the “L” is redundant as all passengers must alight at the checkpoint. Passengers will transfer to another bus across the border. Departure timings are unknown; buses will be deployed wherever necessary. View detailed timetable here. CW3 will operate at a frequency of 05-15mins during peak periods and 15-30mins during off-peak periods. The timetable is published as a general guide to service levels provided and is subject to inaccuracies. As the ManjaLink card is loaded with values in Malaysian Ringgit (MYR), passengers boarding from Singapore and paying fares in Singapore Dollars (SGD) will be charged based on the prevailing exchange rate determined by ManjaLink. For example, the published ManjaLink fare for JB-bound CW3 is S$4.00, and as such when ManjaLink is used, 4.00×3.08= 12.32, thereby deducting RM12.40 from the card, as the Manjalink system rounds up the fare to the nearest 10 cents.